Next up, it’s the WikiHow app. 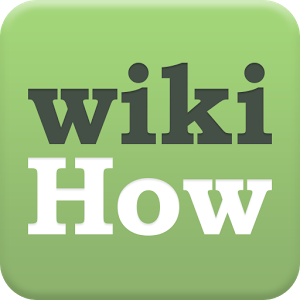 Okay, so hands up if you've ever 'googled' the simplest of questions, and ended up on WikiHow for about 5 hours? Yup, there's now an app for that. This app pretty much tells you ‘how to do anything’. It's a big claim but everything I’ve searched for so far has turned up … From ‘how to treat sunburn’ to ‘how to train a puppy’ this is an amazingly helpful app for those everyday questions you may face, particularly when it comes to DIY. The app provides step-by-step pictures and videos and allows you to save your favourite DIY tips offline, so you can continue working even without internet connection [in reference to my 100 point question earlier, I think WikiHow is going to win...]. Oh, and the app is free – Yayay! This next app needs no introduction, it’s Pinterest… I’ve been utterly and completely Pinterest mad ever since I downloaded the app a couple of years ago… from collecting images of me dream wedding to many exotic holidays, Pinterest has kept my mind constantly wandering and imagining. For those of you who have been living under a rock, Pinterest is the world’s largest catalogue of ideas where you can find and save inspiration on interiors and exteriors, as well as recipes, life hacks and fashion! You’ll find everyday items that you love, from dining room tables to pendant lights and front door mats. The app allows you to organise and save your ideas by topic, so you can create your own personalised catalogues/ collages so they’re always easy to find. You can also create mood boards which allow you to select you favourite household items and store them in one space! I already have about 10,000 boards of what I’d like my dream house to look like some day… one can dream! My last app today is Planner 5D (that’s right, not 3D but 5D!!!). 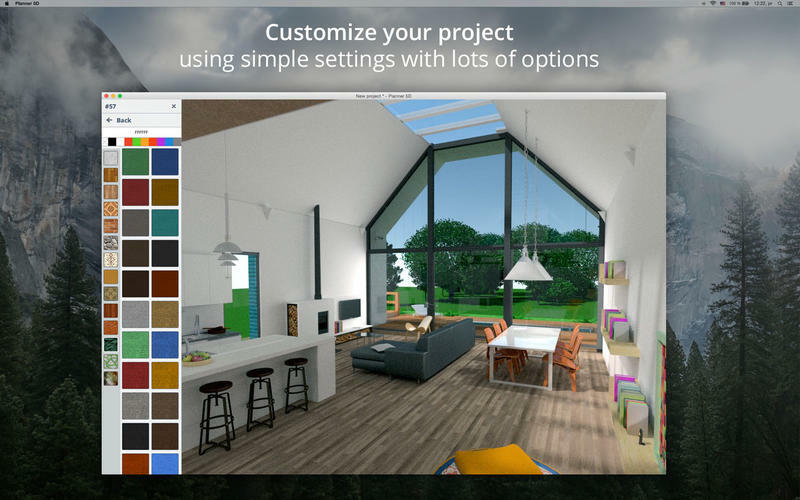 Joking aside, this app is pretty cool - Planner 5D is a simple-to-use app that allows you to create beautiful and realistic interior and exterior designs in 2D and 3D modes. Using a comprehensive catalogue of inspiration, you can choose from interior and exterior items to help you plan and furnish your home (or any other space) in the way you’ve always wanted. Basically, it’s like Sims for proper grown ups (only downside is you can’t kill anyone by taking away the swimming pool stairs)... but don't let that put you off Planner 5D - the app is quite unique as it also allows you to see what your design would look like in reality using the Virtual Reality mode… very fancy!! After using this phone and experimenting with my new apps, I can honestly say I’m very impressed. The handset of the Sony Xperia Xp has been designed incredibly well - it's sleek, understated, minimalistic and perfect for anyone looking for a phone with style. I actually prefer the design of this one to my own lovely little iPhone. The sleekness of the handset is attractive, there are no big ugly buttons that stick out and the smooth surface is perfect for sliding into your pocket or handbag. As I've only ever used Apple products, it did admittedly take me a while to understand how the home screen worked, and how to locate essential smartphone features like messages, emails and internet. I've never used Android before and my brain is very much wired to understand Apple products, but I was relieved to realise that it was incredibly simple and easy - after a couple of minutes I was confidently scrolling, searching and zooming about on the device. Have you used any of these fantastic DIY apps before? 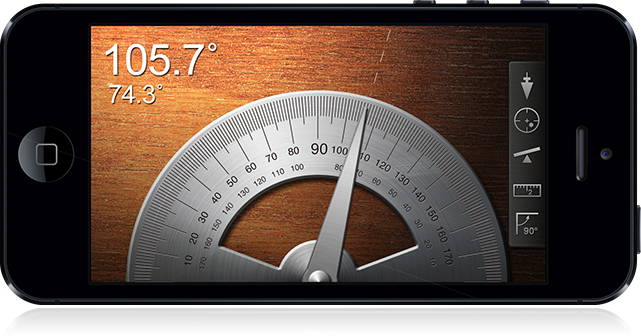 What do you think of the Sony Xperia XP? Let me know your thoughts in the comments below. I am sumsung kind of phone girl but this phone looks really good. Think I should visit stoe to play with it.